Hello, I’m Kathryn Messer. I’m a B2B copywriter with a razor sharp focus on the insurance, financial, and retail banking industries. If you’re looking for a specialized writer that truly understands the complexities of the industry that you work in every day, you’ve come to the right place. I’m not your generic copywriter or content marketer. As a former insurance agency owner, certified financial adviser, and commercial broker, I bring over 23-years of real-world experience to the table ranging from actuary analysis to claims, annuities to investments, personal lines to commercial insurance—and everything in between. I know what your prospects and customers are looking for and what’s going to get their attention. In addition to maintaining active P&C and L&H insurance licenses, I hold highly specialized insurance designations that include: CPCU, LUTCF, CFU, and CIC. I’ve worked as a sales executive for companies that include New York Life, American Family Insurance, Wells Fargo Insurance Services USA, and Dain Roucher Corporation. Since selling my insurance agency in 2010, I decided to bring my insurance and financial experience together with my graduate degree in journalism to form a very specialized copywriting and marketing agency. 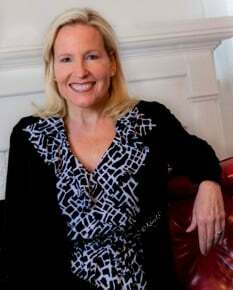 I have an overabundance of passion for what I do, and enjoy helping my clients on a very individualized level. And unlike larger marketing agencies and copywriting services, I never outsource, ensuring that the services you pay for are backed by my experience. That I understand buyers of insurance/financial products and services in a way most copywriters and content marketers don’t! I work collaboratively with all members of your marketing team to fully understand your needs, challenges, and opportunities. I’m continuously expanding my network of experienced insurance and financial industry professionals to ensure my work remains relevant, fresh, and effective. Whether you’re an independent agent, insurance carrier, MGA, insurance/financial technology company, industry marketing or advertising professional, let me know how I can help you bring your creative projects to completion or kick-start your next marketing initiative. My capabilities aren’t confined to the office cubicle or corner office. Technology allows me the freedom to collaborate and interact globally–without geography or in-house limitations. 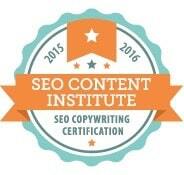 The only industry-endorsed online training that certifies copywriters in SEO copywriting best practices. With brands all around the globe spending on average of over 25% of their total marketing budget on content marketing, marketers need to understand the importance of creating a successful content marketing strategy.